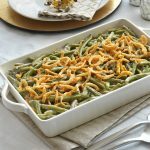 Mix together green beans and mushroom soup in casserole dish. Bake in 350° oven for 25 minutes. 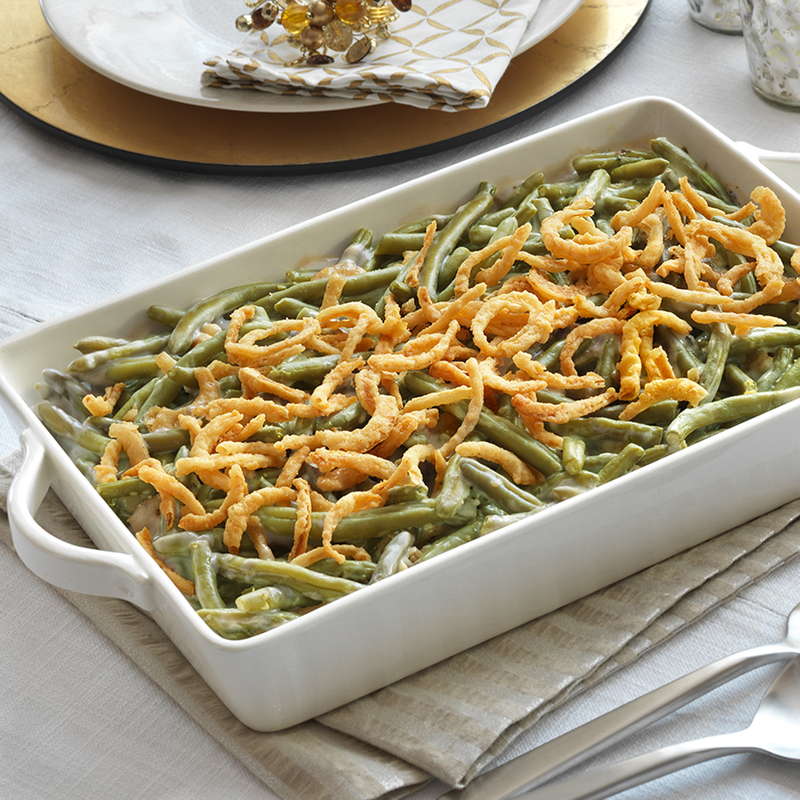 Sprinkle with the onion rings and bake for 5 more minutes.